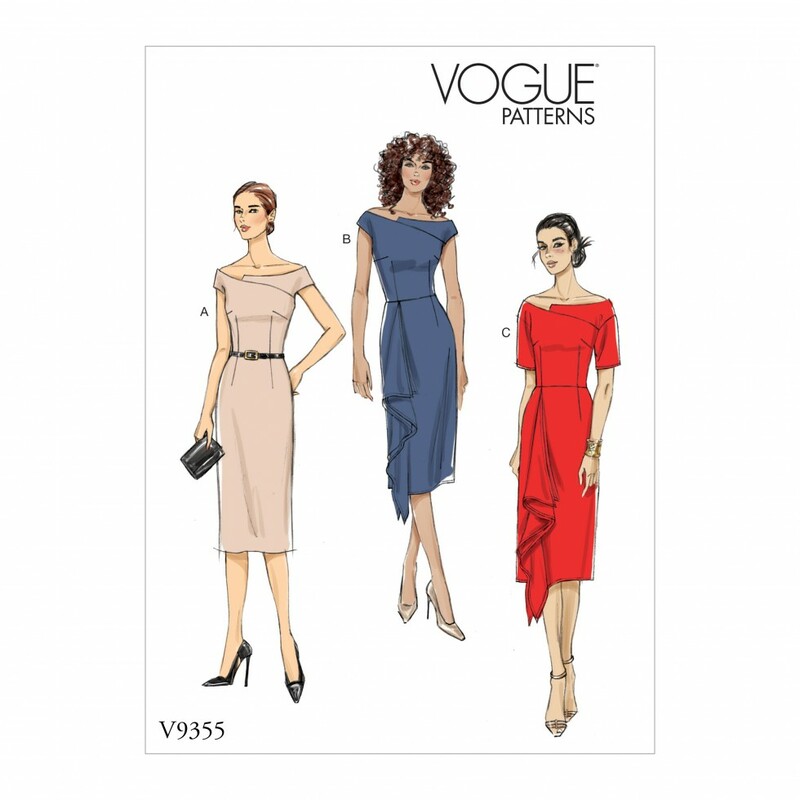 Fitted dress has lined off the shoulder bodice with asymmetrical front yoke, back slot zipper, and skirt with back slit, with or without asymmetrical front drape. B, C: Wrong side of fabric will show. 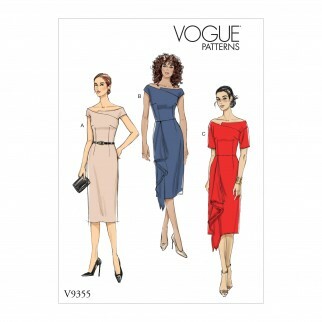 Fabric suggestions include: Crepe Back Satin, Wool Crepe, Linen.